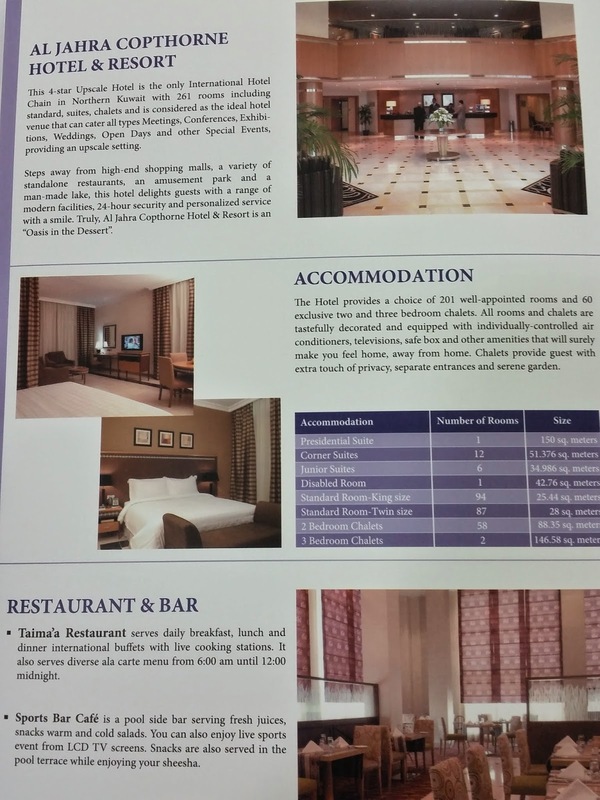 Did anyone know there was a 4 star hotel in Jahra? 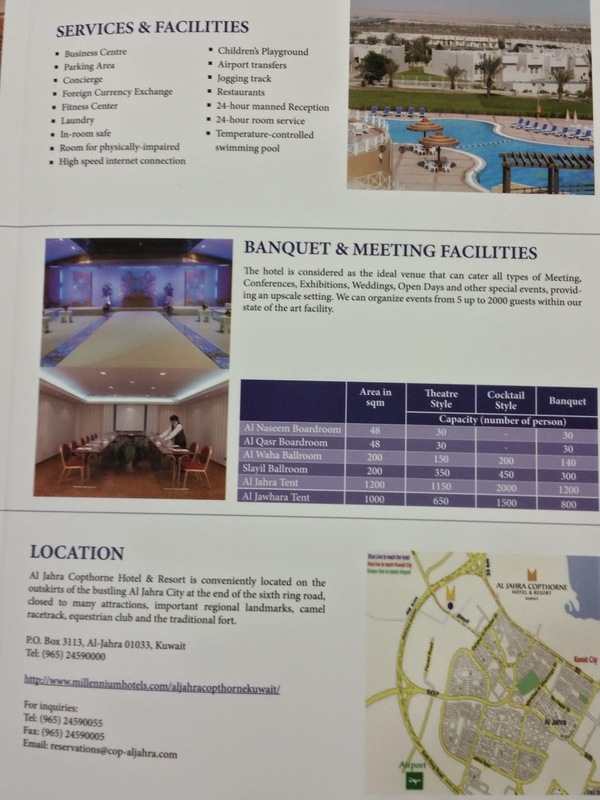 I happened to find this brochure in the office of my new job and I was surprised. 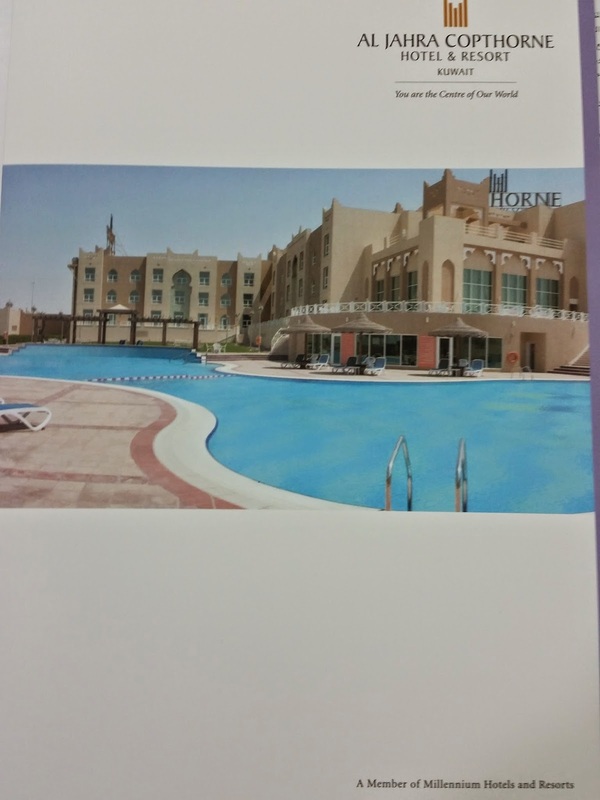 I didn't know Jahra was a touristic location, it's on trip advisor with good and bad reviews. I'm guessing it was built to accommodate guests who were either visiting or working on the northern US military camps. I've been there several times for events and for just a drive out to somewhere different for dinner. Given it's "remote" location, you wouldn't guess it, but the Copthorne is actually much classier than the Hilton right now.... (see my post on that). I've stayed there once, a while back and never went back. I think it was the area that turned me off. I've only every been to Jahra like twice in my whole life. It's far, the people tend to give uncomfortable stares. Jahra is worth exploring though, it's a county within a country. The hotel didn't leave a lasting impression on me which means it wasn't much. Granted this all happened about 8 years ago. 8 years ago the country was a lot better in my opinion so imagine how it is today. I worked in Jahra for a couple months when my mom and sister were running a school out there, definitely a different kind of place. It was good until end of the year and certain parents were pissed because their troublemaking kid didn't receive an award so they made an angry mob and chased my sister, she had to lock herself in her office. The only people who would stay there are contractors working on the bases out in the desert. I was laughing when I watched the video, all I saw were contractors at what looked like a bar-b-que or something but not a place I would willingly go to myself.